Let’s talk about the elephant in the room. Many technicians and clients are guilty of referring to non-standard salons as ‘Chinese salons’, ‘Viet salons’ or ‘chop shops’. It is more than likely that the people in these salons may not even be Chinese at all. Whatever the race of the workers, no salon or technician should ever be called by their ethnicity or defined by it. Just because a particular race runs a nail business, it does not automatically make them non-standard. By referring to these salons like this, makes us the uneducated ones. This kind of generalisation can also be offensive and detrimental to the career of those professionals in the industry from East Asian heritage who are fully competent, well-educated techs. Some of the most knowledgeable, talented and professional technicians and educators of Eastern Asian culture have had to constantly battle against these stereotypes to get where they are. So, next time you think about referring to your local discount salon in this way, take a moment to think about your industry peers. While I appreciate the world has gone PC crazy, as a professional technician we must be factually correct and fair to our peers and educate those who are unaware. What is a non-standard salon? Our role as professional nail technicians, as well as to enhance and care for the natural nail, is to follow rules and legislations to provide a safe and hygienic environment for our clients to receive their treatments. As with every industry, there are good and bad workers. 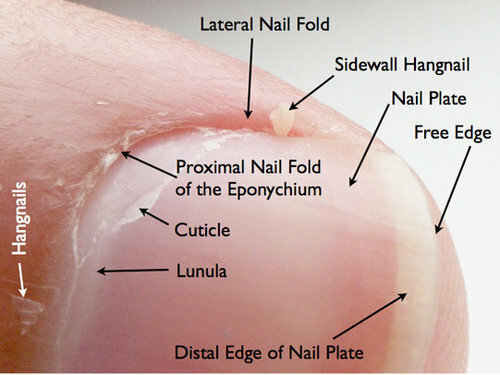 In the nail industry, there are all kinds of technicians from nail bars, salons, mobile techs, hobby techs, and self-taught techs and there are good and bad technicians in each and every one of these groups. A discount salon is not necessarily a non-standard salon and vice versa – just because a salon charges a lot, it does not inevitably mean that they comply with the above. I know many techs that work in what would be considered a standard salon, that are extremely unsanitary and therefore should be considered a non-standard technician. Absolutely, some of these non-standard salons may have East Asian workers, as much as they may have any other nationalities. Anyone can own or work in a non-standard salon irrespective of whether they are white, black or Asian. With the recent claims of modern slavery in nail salons and the sensationalised portrayal of the non-standard salon within the media, we shouldn’t tar everyone with the same brush, jumping on the race bandwagon again. This kind of non-standard practice can occur in any industry with race being irrelevant. With numerous YouTube tutorials and counterfeit products readily available online, it’s getting pretty tricky for clients and impressionable techs to know where to turn and who to trust. With anyone posting videos on social media, it has highlighted many techs working unsafely, where they are saturating the clients skin with monomer and using their brush to clean up the skin. A tech that puts their clients in danger of potential allergies and skin conditions is sloppy and unprofessional; demonstrating a lack of understanding of the chemistry and skin anatomy and therefore a non-standard tech. Yes, these ‘non-standard salons’ can be seen as competition as with in every other industry but rather just stereotype them and assume they are all from one race, educate ourselves and our clients. Look at your working techniques and environment and make sure that you stay the very best you can be and don’t ever slip into non-standard working practices.